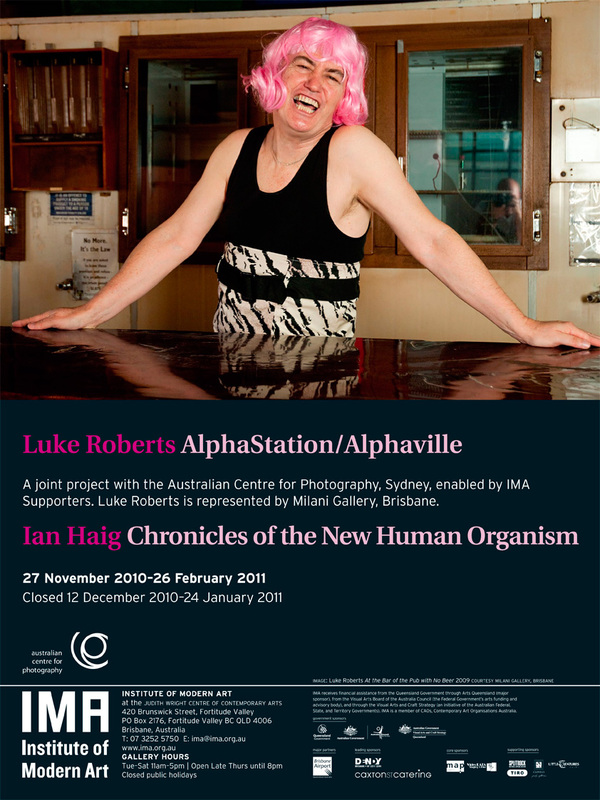 This is the ‘Must See’ exhibition of 2010!! Luke Roberts has been a great influence on my work and it was a dream come true (and massive honour) to work with him and Pope Alice on my ‘austrALIENation’ series. 19 Karen is an awesome Contemporary Art Gallery on the Gold Coast. Please visit and check out HolyGreenCow and all the other amazing artists, including JME Pool!! Not to take any shine away from the ‘Last Days’ Graduation Exhibition, but here’s another exhibition I’m in soon…. It features 4 pieces from the Cataclysm series. So I hope you can make it for a great night of ‘different’ photography. The Pine Rivers Art Gallery is pleased to announce the opening of our new exhibition SNAP! – Photography with a twist. SNAP! is a collaborative exhibition of contemporary photographers celebrating the quirky, off beat side of life. From the peculiar to the bizarre, SNAP! is impressive, humorous and thought provoking. This came in the mail today and while the Cynical Voice in my head says that blogging this is purely self promotion, I listened to the Warm Fuzzy voice that said it’s good to be good. Anyway, I donated a few prints from the THEY CAME series to help out a worthy cause. I’m not a hero, but it feels nice to be treated like one. ps. 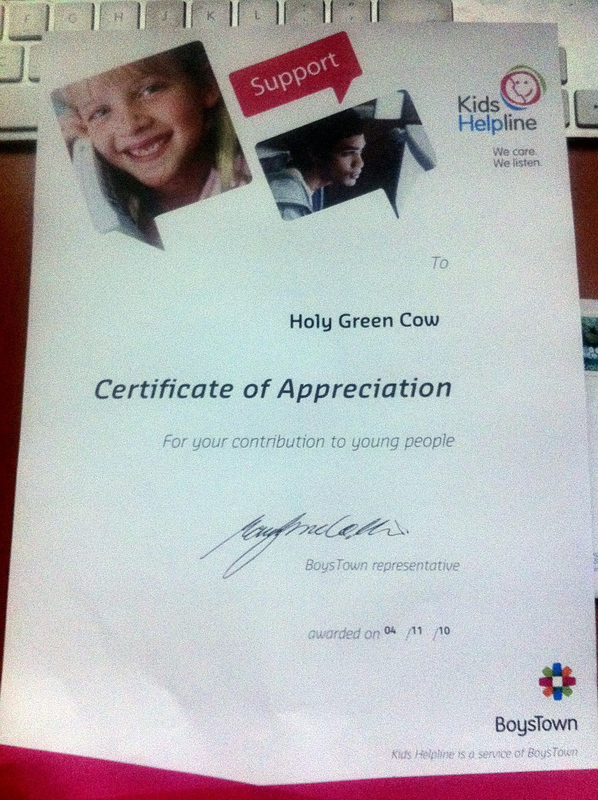 The Cynical Voice also wanted to add that young people almost never say thank you for themselves… So that in itself makes this Blog Worthy. 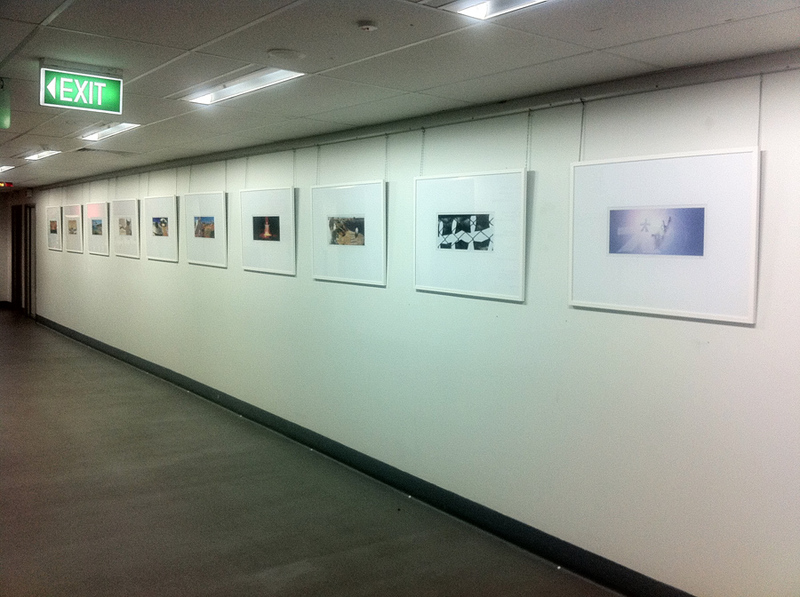 Here’s the entire austrALIENation series hung awaiting assessment… gulp. I have to admit that despite the anguish, anxiety and depression, seeing this body of work like this makes it seem worthwhile.